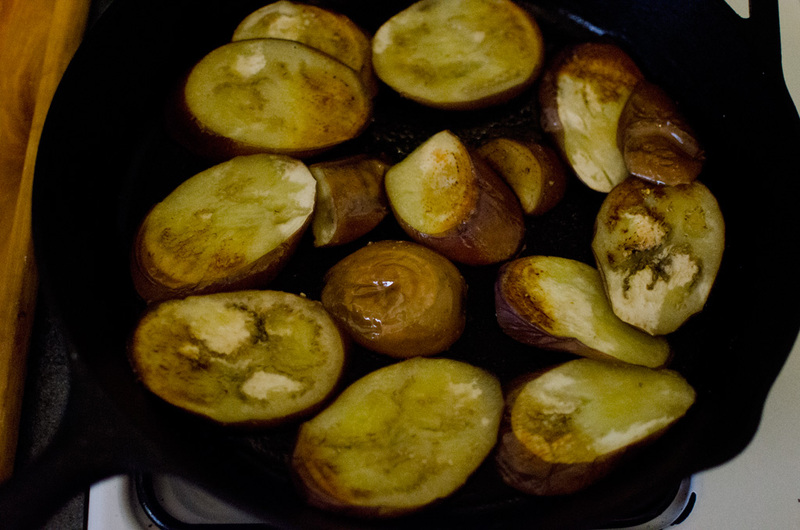 I brought home a couple of beautiful eggplants from the Greenmarket the other day, and although I usually fry them, this time I immediately decided to cook them in the oven. 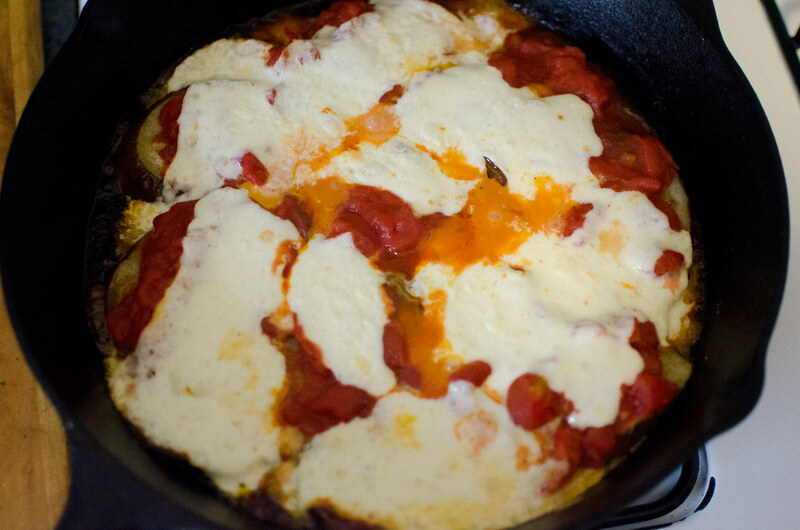 I discovered how easy it was to make a no-fry, eggplant parmigiana in one pot, in less than 45 minutes. You just need five ingredients, so they’d better be high quality. I used my cast iron pan, but you can use any oven-safe pot. Preheat your oven to 450 degrees. Then slice the eggplant into thin rounds — somewhere between a quarter inch and half an inch. The thinner you cut them, the quicker they will cook. 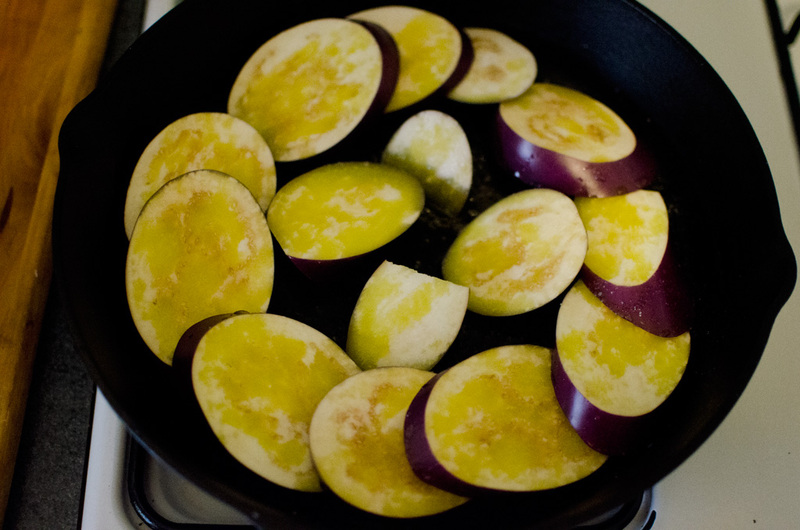 Arrange the eggplant into a single layer into your pan. Drizzle with olive oil, sprinkle with salt, and put into the oven. 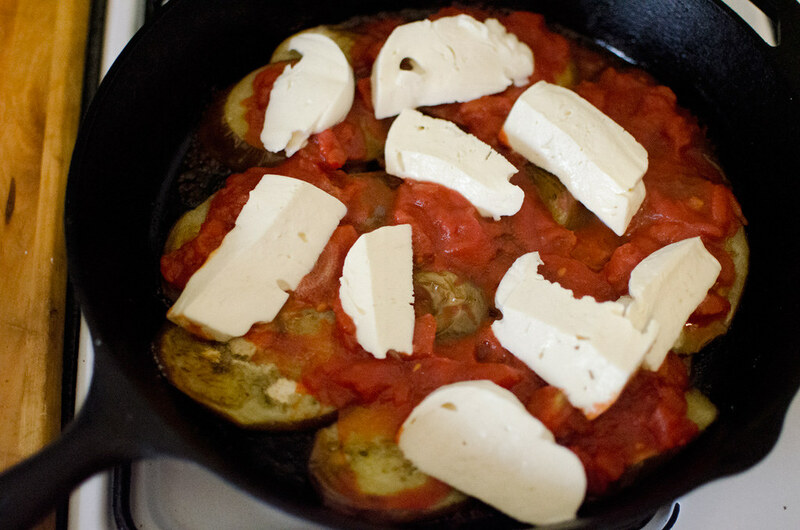 After roughly 15 minutes, turn the eggplant slices over and return the pan to the oven. 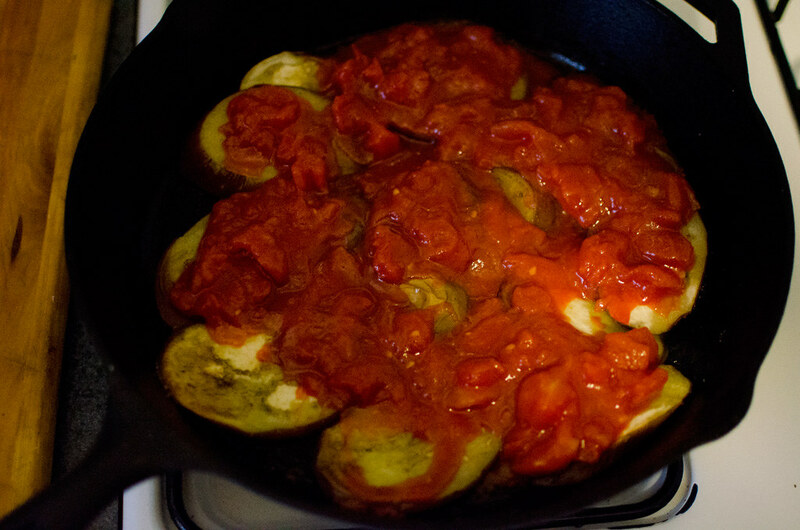 Continue to cook until the eggplant is soft all the way through — it only took another 10 minutes or so for me. Open a small can of tomatoes, and add a sprinkle of salt to it. Stir it together, and then pour it over the cooked eggplant. Return the pan to the oven for another 10 minutes or so. Then add chunks of fresh mozzarella, roughly arranged over the eggplant slices. Return to the oven until bubbly and melted, probably about 10 minutes. And that’s it. It’s enough to feed two people, or one hungry Me. The eggplant doesn’t get as golden brown as it does when you batter and fry it, but it is silky smooth while still retaining some character of its own. Best of all, the clean-up is super easy. Let me know if you try it yourself.